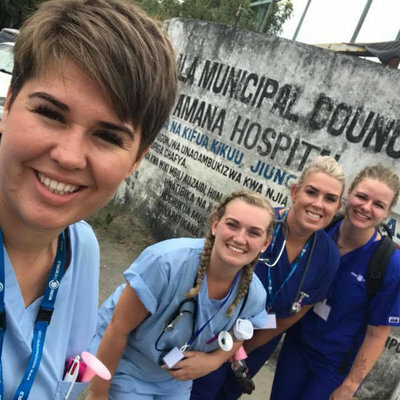 At my university, elective placements are not currently part of the curriculum, however, I was desperate to experience midwifery practice abroad and was recommended Work the World by a friend. I only had three weeks off in the summer and Work the World offered me a placement in a regional hospital in the Philippines which seemed the perfect option for me. Work the World provided me with a comprehensive information pack, and phone contact with a member of UK staff who covered every aspect of organisation for my trip. This really took the majority of my fears away, as I had never travelled abroad on my own before. On arriving in the Philippines, I was met at the airport by one of the Work the World team members, Nellie. She was so lovely and friendly, I felt comfortable straight away. Once we arrived at the house where I would be staying with other healthcare students, I was given a great welcome. They were all lovely and seemed positive about their stay in the Philippines so far. The next day, myself and one other new arrival were taken to the hospital for our introduction tour and orientation. All the staff were so unbelievably friendly! The hospital came as quite a shock to me, as it was very different to what we have at home, and even though I was expecting that, it was still a lot to take in seeing it in real life. I really felt valued as a student and didn’t feel pushed to the side. Later on the first day, we were then taken for a city tour on a Jeepney (the local buses) by Mishie the Programme Manager which I found really exciting. We visited the City hall and museum. We were then taken for my first Filipino meal; it was actually nicer than I thought it would be! When we arrived back at the house, the other students that had been there for some weeks already were eager to meet and get to know us. In the house, there was a fantastic Work the World chef, Gerry, who cooked us a different breakfast and dinner Monday to Friday which was amazing! We could either buy lunch out as everything was so cheap or we could make our own lunch from food provided at the house. I started my first day at the hospital on the OB and GYN ward at 8am. When I got there, all the staff were really welcoming. Throughout the two weeks, one of the doctors took me under her wing and got me involved and hands-on with things I was happy and comfortable to do. I really felt valued as a student and didn’t feel pushed to the side. There was no pressure to do anything I didn’t want to do. I asked lots of questions and started conversation with anyone who would listen! 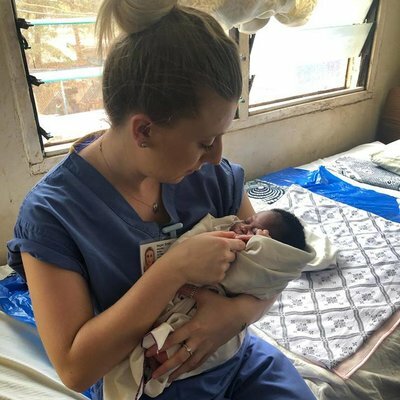 The majority of staff asked me why I wanted to undertake a placement in the Philippines, and were interested to know how we practiced midwifery in the UK. 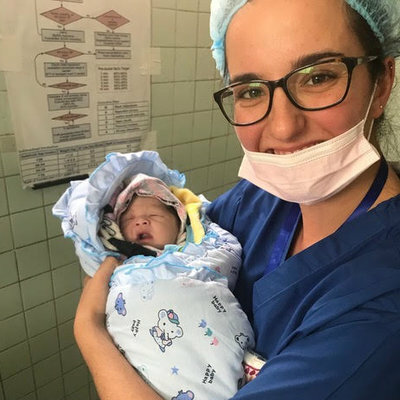 One of my most unique experiences was watching a twin delivery and vaginal breech delivery which I had not seen in any of my placements in the UK before. It was strange to me that none of the women were allowed access to pain relief in labour, and laboured in near silence most of the time. It really gave me respect for the women as they make do with what they can to get by, without making any kind of fuss. As I was only there for two weeks, I wanted to make the most of my free weekend. I decided to travel to the Island of Boracay with the seven other students staying in the house. We hired a mini bus and travelled for five hours. We spent Friday to Sunday there and went snorkelling, island hoping and clubbing. The entertainment there was really good and very different. I had an amazing time there with the girls. The beach was stunning! My advice for any students wanting to undertake a placement in the Philippines is definitely go for it! Also, don’t wait for staff to talk to you. It is hard at first as they tend to speak in Filipino most of the time, but their English is very good and they are very friendly, so just ask questions and talk about whatever you can as they involve you a lot more if you do this. Go in with an open mind and learn as much as you can.